Where we live – whether we have stable and safe housing, and the neighborhoods in which we live – can profoundly influence our health and important health behaviors, like physical activity. Unfortunately, approximately half of the adults in the United States do not engage in enough physical activity, putting them at a higher risk of many chronic conditions, including obesity, heart disease, and type 2 diabetes, and an increased risk of death. 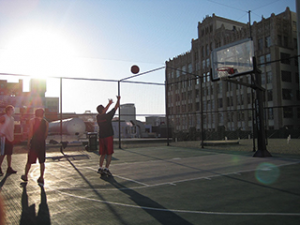 Neighborhood characteristics such as a lack of safe spaces for physical activity, low income, and high unemployment can deter physical activity, while safe, aesthetically appealing, and socially cohesive neighborhoods may encourage residents to be more physically active. Affordable housing is also important for health. Unfortunately, lack of affordable housing is a problem facing our society. In the United States, over 38% of “rental households” pay more than 30% of their income on rent and utilities. Our recent research investigated whether low-income adults who received federal housing assistance were more likely to be physical activity compared to those who did not receive assistance. 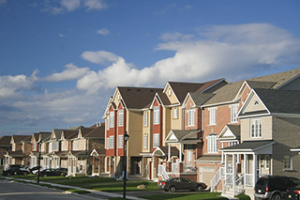 The U.S. Department of Housing and Urban Development (HUD) provides federal housing assistance to more than 5 million low-income households in the United States. This assistance helps individuals and families to live in in safe and affordable housing, which they can either rent from the private market, or obtain public housing. Households receiving HUD housing assistance typically spend no more than one-third of their monthly income on rent and utilities. This can free up financial resources and time that can in turn improve health of these individuals and families. Recent studies have linked housing assistance to better health in adults and children, including lower blood lead levels in young children, and among adults, lower emotional and mental distress and higher perceptions of being in good health. Recent research also found that adults living in HUD assisted households had better health care access compared to adults who were similar except that they had not yet received HUD housing assistance. However, it is unknown the extent to which housing assistance translates into higher levels of physical activity. Currently assisted nonsenior adults were nearly 1.5 times more likely to be physically active than nonsenior adults who would receive assistance in the future. We used data from 2004-2012 National Health Interview Survey (NHIS), a survey that is administered annually to monitor the health of the United States. This survey, administered by the National Center for Health Statistics (NCHS), which is part of the Centers for Disease Control and Prevention (CDC), collects information about a wide variety of health topics. The NHIS has been linked to HUD’s administrative data, which provides information about whether and when NHIS survey respondents received HUD housing assistance. Following recommendations from the U.S. Department of Health and Human Services, we defined participants as being physically active if they engaged in 150 minutes of moderate- and vigorous-intensive aerobic activity in a week. We then compared whether low-income adults currently receiving HUD housing assistance were more likely to be physically active versus adults who would receive housing within 24 months from the time of they were surveyed. We found that among non-senior adults, those who currently received HUD housing assistance were more likely to be physically active than adults who would receive housing assistance within 24 months. Currently assisted non-senior adults were nearly 1.5 times more likely to be physically active than non-senior adults who would receive assistance in the future. However, among all low-income adults, we did not find any difference in being physically active among both the current and future HUD housing assistance groups. Our study did not explore whether the link between housing assistance and physical activity differed by the type of housing assistance (e.g., public housing versus voucher). There are a variety of possible explanations for these findings. It is possible, for example, that non-senior adults receiving HUD housing assistance now have more financial resources and time that allow them to engage in physical activity. However, older adults typically have more chronic diseases, so they may have to dedicate the resources freed up from rent towards medical needs instead of physical activity. Safe and affordable housing is an important social determinants of health. While more research is needed to disentangle the different potential mechanisms linking housing assistance to physical activity – identifying which types of housing assistance, in what communities and for which individuals are most important for increasing physical activity – this study underscores housing assistance as a potential platform for health promotion. 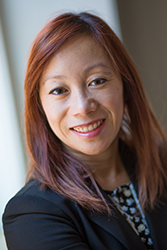 Michelle Wong, PhD is a postdoctoral Health Services Research fellow at the U.S. Department of Veterans Affairs (VA), Health Services Research & Development (HSR&D) Center for the Study of Healthcare Innovation, Implementation & Policy (CSCHIIP). She has a PhD in Public Health from the Department of Health Policy and Management at the Johns Hopkins School of Public Health. Her research focuses on social determinants of health and health disparities. Currently, she is conducting research on the influence of neighborhood characteristics on health and healthcare utilization among formerly homeless Veterans housed through the VA’s supportive housing program (HUD-VASH), and racial/ethnic health disparities within the Veterans Health Administration. While at Hopkins, her research examined the role of social determinants of health on obesity and obesity-related behaviors, including diet and physical activity. 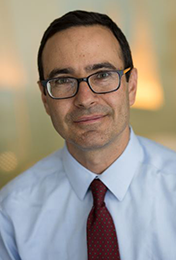 Craig Pollack, MD, MHS is an Associate Professor of Health Policy and Management, Epidemiology, and Medicine at the Johns Hopkins Bloomberg School of Public Health. 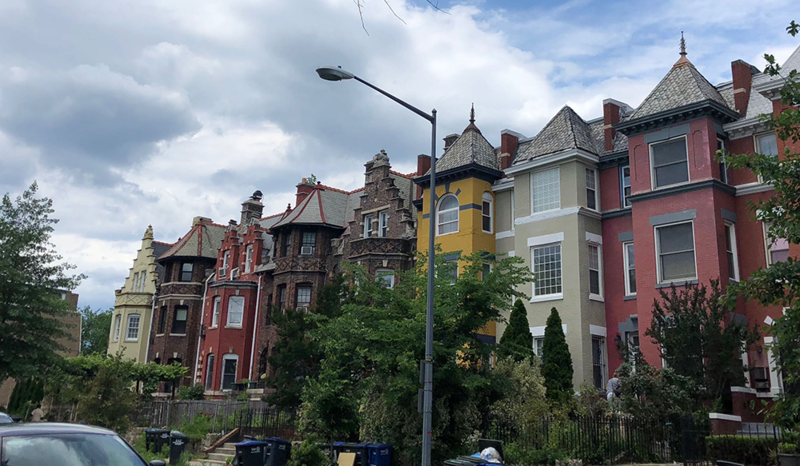 His research focuses on the connection between housing and health with an emphasis on housing mobility and affordability.